For the initial consultation and examination, we ask that you dress appropriately. Please wear pants, athletic wear, slacks, or shorts. Low neck collars are preferred. Flat-bottomed, lace-up shoes are also requested. We ask that you not wear turtlenecks, skirts, dresses, large belts, thick collared shirts, hoodies, gum boots, winter boots, or any footwear that is excessively worn. You will be asked to remove all necklaces and earrings. The consultation and examination will require approximately 45 minutes. Can you describe it using words such as achy, dull, stabbing, sharp, etc.? Have you had a prior diagnosis? Have you had any prior treatment for your condition? Have you experienced any falls, accidents or contact injuries? Following the consultation, a spinal examination will be performed. Your spine and spinal musculature will be palpated. You may be asked to rotate or flex your spine to determine if there are limitations to normal spinal motion. Various instruments will be used to measure any spinal and postural distortion. Other orthopedic or neurological tests may also be performed to aid in the formulation of a diagnosis. Palpation and flexing of the spine may sometimes produce discomfort. Then the doctor will consolidate all the findings and provide you with a working diagnosis of your condition, a determination of whether or not it is related to spinal misalignment and imbalance, and an indication of whether or not your presenting complaint is likely to respond to our care . 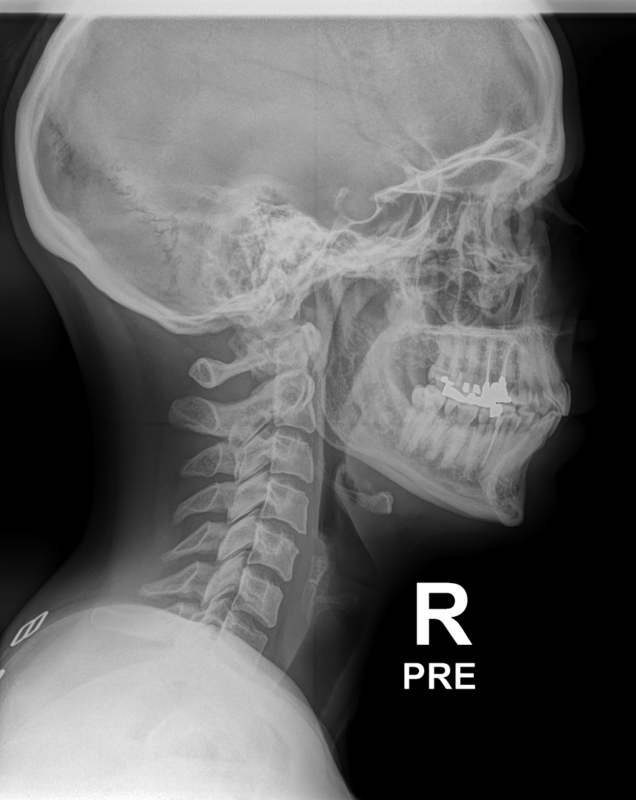 If this determination is favorable, and if you decide to commence with our program of care, a set of upper cervical x-rays will be taken. Prior to your first adjustment, your chiropractor will show you your x-rays, explain what was found, and correlate the findings to your presenting complaint. At any time throughout the process of care, you must be sure to voice your questions or concerns. Prior to the first visit you will have been asked to sign a Consent to Treatment form which states that you are aware of any material risks that are associated with this treatment. If there are any doubts or suspicions that your problem may need further assessment or alternative therapy, you will be referred to an appropriate physician or therapist. Following the adjustment, some people may feel their neck become warm, some feel a slight shifting of their body as they lie on the table, some feel slightly light-headed when they get up, and some feel sleepy. Stiffness or soreness in various parts of the body. An improvement in initial symptoms. A change in location of pain. It may even switch to the opposite side. A sleepy or tired feeling. Cracking or popping noises from the spine. Possibly multiple bowel movements, particularly in people with lower back pain. Any rapid head or neck movements. Excessively rotating, flexing, or extending the head. Jarring or stressing the spine and neck. Working with the spine in an awkward position. Riding a bicycle, motorcycle, or skateboard. Gym class, running, swimming, skiing, horseback riding, volleyball, basketball, yoga classes, bungee jumping, etc. Any ancillary therapies such as massage, physiotherapy, acupuncture, chiropractic, IMS, etc. Back: Am I a Candidate for Care?